Oklahoma-Ohio State Preview: Can The Sooners Get Revenge On The Buckeyes? A loss like the one the Oklahoma Sooners suffered at the hands of the Ohio State Buckeyes last season can be devastating— and it was. With the loss to the Houston Cougars to start the season, the Sooners were practically guaranteed no chance of making the CFB Playoffs just three weeks into the season. Last year it was J.T. Barrett leading a bunch of newcomers into Norman. 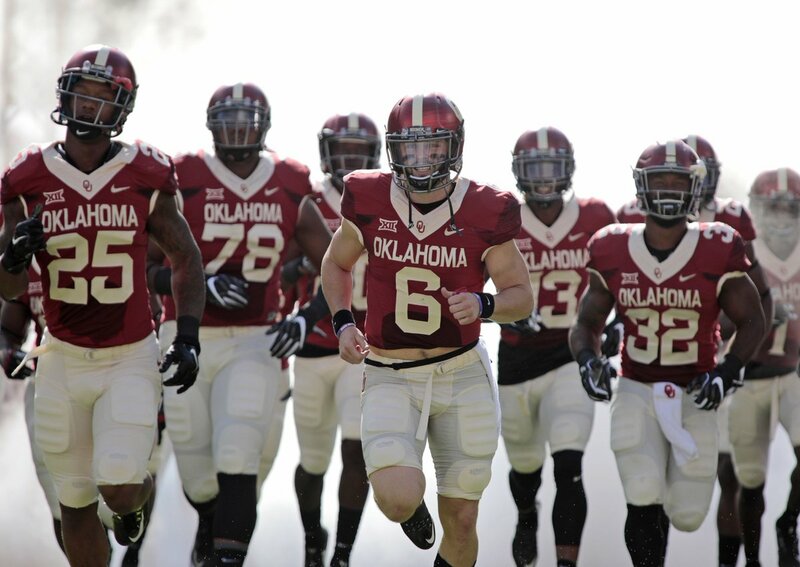 This year it will be Baker Mayfield leading his newcomers into Columbus. Will history repeat? Will the visiting team with less experience come out on top again? Can the No. 5 Sooners knock off the No. 2 Buckeyes? When it comes to Week Two matchups, all we have to lean on is what we saw during Week One. Baker Mayfield was almost perfect in his game against UTEP (19-20 for 329 yards and three touchdowns). No one stepped up to replace Joe Mixon and Samaje Perine. But the run game did have three players record over 50 yards and average over 5.8 yards a carry. As a team, the Sooners rushed for 180 yards and four touchdowns—not a bad day’s work. But the Sooners were not exactly playing a powerhouse. The UTEP Miners were a team that was 4-8 last season and allowed close to 35 points a game. So, it is not like they were playing someone they shouldn’t have destroyed. 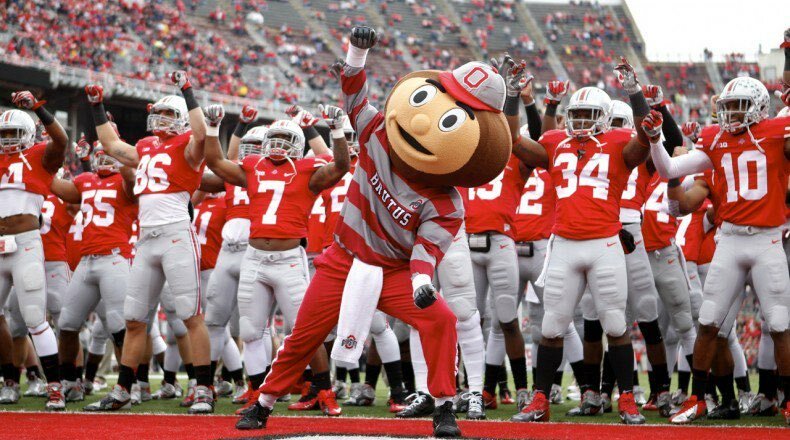 Ohio State also played a team that it should destroy. If you look at the final stat line, it appears as if they did. The Buckeyes won by 28 points, J.T. Barrett threw for 304 yards and three touchdowns. The running game, led by J.K. Dobbins (181 yards on 29 carries), tallied 292 yards and three touchdowns on the night. The Buckeyes crushed the Indiana Hoosiers as they should. But in the first half, they were outplayed by the Hoosiers and were down 14-13. Indiana stayed in the game until late in the third quarter and were ahead 21-20 with 4:56 to go. Had the Indiana defense not broken down on two long touchdown passes (74-yards and 59-yards) late in the third, who knows how the game could have ended. But once they took a 14-point lead, the Hoosiers were done. So, for almost three quarters, the Buckeyes were outplayed by a vastly inferior Indiana team. A guy that struggled to throw for 182 yards and two touchdowns last season against them (Richard Lagow) torched their defense for 410 yards (40-65) and three touchdowns (along with two interceptions). If Richard Lagow can do it with the supporting cast the Hoosiers have, then what can Baker Mayfield do with the supporting cast he has? It is not hard to imagine Mayfield lighting the Ohio State defense up and exacting some revenge for last season’s loss. But Vegas doesn’t seem to think it is going to happen. Odds makers have the Buckeyes favored by a touchdown. Could it be they are banking on the defense Ohio State displayed in the second half showing up? To put Schiano’s statement into perspective, the Hoosiers were unable to get a run game going and gained only 17 yards on 27 carries. Oklahoma’s run game is going to be much better. Look for this game to be much closer than last year’s contest. Expect Baker Mayfield to get on track much quicker and try to replicate the kind of day Lagow had. With his talent and the weapons at his disposal that shouldn’t be too hard. However, at the same time, don’t expect the Ohio State offense to struggle as much as it did. In the end, this is going to be a high-scoring shootout of a game that could come down to whoever has the ball last. Don’t expect the spread to be covered if Ohio State wins. My Prediction: Oklahoma by two.